Things To Do on Tuesday, January 15. Watch a Documentary on Swashbucklers. Tuesday is looking somewhat dry this week. Somewhat. There are still cool things to do, of course — just a few events fewer than you might expect. Actually, if you're hankering for something to satisfy the artistic palate, you really can't complain tonight. In that regard, it's fairly rich. If the below offerings don't suit you, though, remember that there are always the regular Tuesday staples going on — affairs like Singles Going '90s at Rubber Gloves Rehearsal Studios or DJ Guilty Pleasures at the Double Wide. Just be sure to note that there's no Tuesday Night Trash tonight at the Texas Theatre; that event's transitioning from a weekly to a monthly. Back in 2011, Los Angeles-based filmmaker Thymaya Payne began a Kickstarter campaign to fund a feature-length documentary about pirates. 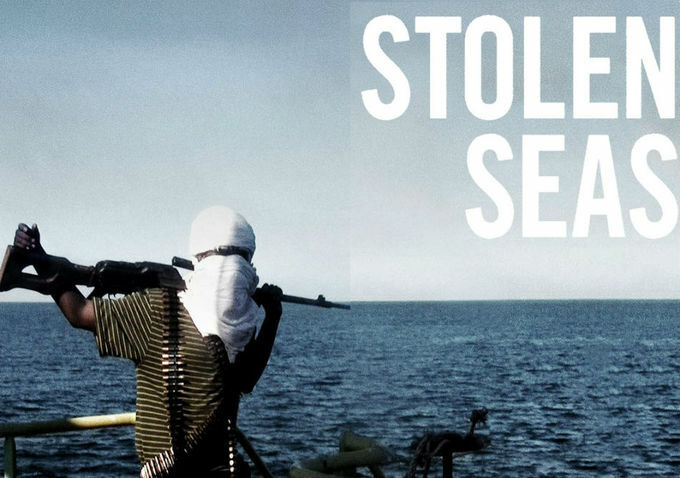 Some $15,000 and two years later, we get Stolen Seas , which promotes itself as a “chilling exploration of the Somalia pirate phenomenon.” There's no drunk and flamboyant Johnny Depp in this pirate story, but its authenticity is sure to entertain and inform. â€¨Jets versus Sharks. Tony and Maria and their undying love. Thugs dancing and singing. This is West Side Story, and though it's certainly hard to fathom gangsters breaking out in song during a turf war — we've never known a gangbanger to belt out a beautiful soprano — the classic play definitely makes the sentiment interesting. Tonight's opening night for the Romeo and Juliet-inspired play at Fort Worth's Bass Hall. It runs through Sunday. Lithographs on lithographs on lithographs. Another Los Angeles-based artist will be showing their art tonight. Ed Ruscha: Made in California is an exhibit that features Southern California inspired lithographs from Ruscha. This curated show features artwork from Victor Vasarely. The Hungarian-born artist is known for his influential and innovative use of shapes and optical allusions. This one's for you, stoners.